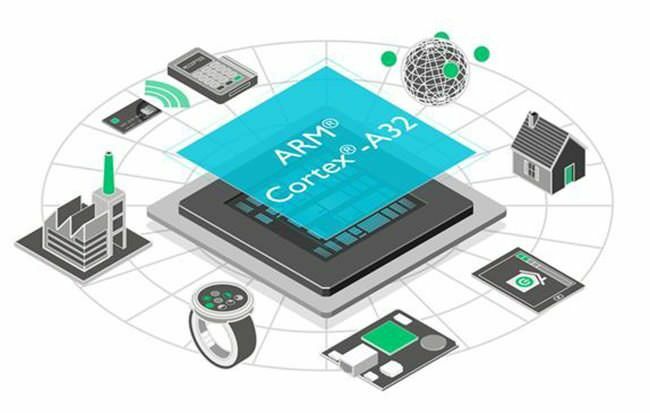 ARM has always laid the foundation for the development of mobile chipsets, and their latest offering at MWC 2016 comes in the form of the new Cortex A-32 processor. The new processor is the smallest and lowest powered ARMv8-A processor out there, and might bring about a ground breaking improvement in the wearables and IoT space. According to the company, the new processor is 25 percent more efficient than its predecessors, and brings the benefits associated with the ARMv8-A architecture to more compact, power constrained 32-bit applications. As far as the dimensions are concerned, the chipset occupies an area less than 0.25 square millimetres while consuming less than 4mW of total power at 100 MHz in a 28nm process node. The Cortex-A32 offers an enhanced level of flexibility in the form of its variable configuration states: from single to quad-core. It includes ARM TrustZone technology for cryptographic acceleration, more secure authentication and enhanced protection levels. Key advantages that the processor has includes the level of scalability, which automatically increases the scope of use cases – more prominently IoT based applications. Moreover, the chipset is compatible with a multitude of single board computers and other applications which would suit low cost computing devices (such as the Raspberry Pi) and hobbyist projects as well. 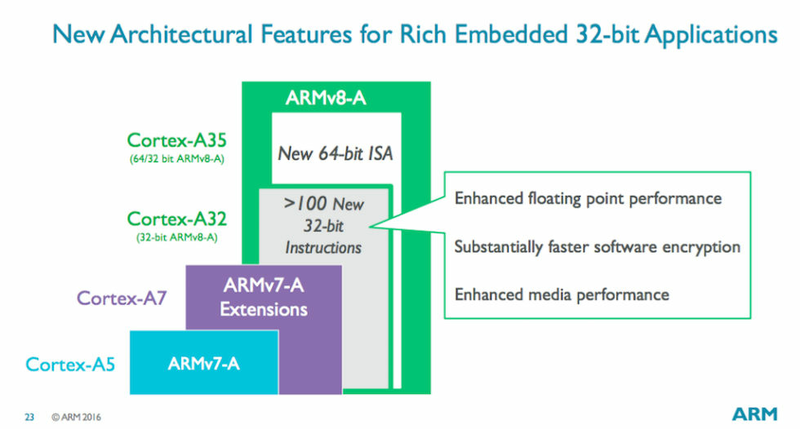 James McNiven, General Manager, CPU group of ARM, stated, “the chipset would bring greater performance, efficiency and other benefits of the ARMv8-A architecture for ARM’s silicon partners to innovate on for richer, more secure embedded systems“.